The British have a long and cherished history with archery – a bow dating from 2690 BC (+/- 120 years) was recently found in Somerset. However, it was only after the Norman Invasion in 1066 when William Duke of Normandy had defeated English King Harold at Hastings that the longbow was developed into a weapon of war, and archery became widely practiced in Britain. Kings went to great pains to ensure that enough men had the proper archery skills. At different times, they officially banned games such as football, , bowls, and, in Scotland, golf, because men everywhere were playing those sports rather than practicing archery in their spare time. The gradual introduction of firearms from the 15th century cut down the need for all that practice, but it didn’t quell a national following for archery as a recreation. As early as the 16th century, societies dedicated to the bow and arrow sprang up to satisfy the demand for competition, with modern target archery beginning in the 18th century. The first of these was the Society of Archers at Scorton, formed in 1673, whose annual tournament for the Antient Silver Arrow is still contested today. The Royal Company of Archers in Scotland formed in 1676, and the Toxophilite Society which now enjoys royal patronage was formed in 1781. These were followed in 1785 by the Woodmen of Arden, at Meriden, and in 1787 by the Royal British Bowmen, the first society to admit women as members. 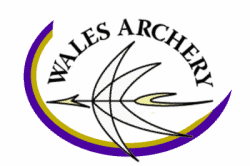 Grand National Archery Meetings (GNAM) – began at York in 1844, and the Grand National Archery Society, now called Archery GB, was formed at Liverpool in 1861. The National Governing Body has been based at the National Sports Centre at Lilleshall since 2000 and has been known as Archery GB since 2007.